Most people occasionally get a little obsessive about double-checking - how many times do you check for your ticket on the way to the airport? However, when this behavior goes from occasional and preventative to extreme and disruptive, it could be obsessive-compulsive disorder (OCD). Though no cause for the disorder is known, there are a variety of treatment combinations available to patients and new research shows potential to expand these options. How do you know when behaviors jump from normal cautionary practices to obsessive-compulsive disorder? Though the particulars vary from patient to patient, people with OCD all have compulsions or obsessions that they cannot control. These obsessions could include reoccurring thoughts or images about acts of violence, germs, fear of crime or a variety of different subjects. For some, OCD manifests itself in the form of rituals that must be repeated over and over, which could be counting, washing hands or locking doors. It is generally accepted that at least an hour per day must be spent on the thoughts or rituals to qualify as OCD - enough time to cause a disruption of normal life. OCD commonly starts during the teenage or childhood years, and NIMH reports that most patients are diagnosed by age 19. 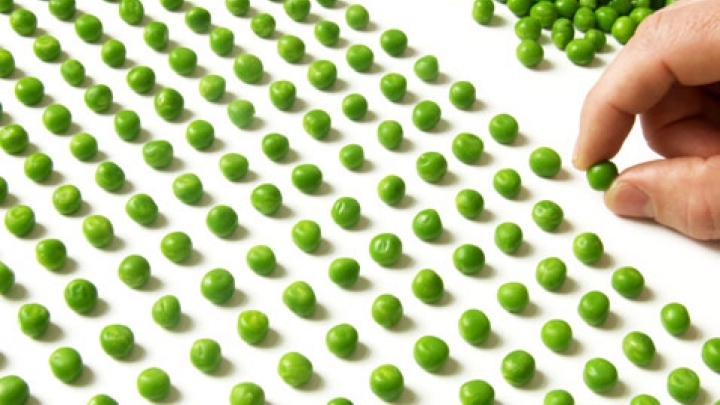 Luckily, there are different options available to help people with OCD overcome the disorder. Psychotherapy, medication or a combination of both has proved successful in lessening symptoms for many patients. When treating a patient with pharmaceuticals, the U.S. National Library of Medicine’s PubMed Health reports that a selective serotonin reuptake inhibitor (SSRI) is generally the first medication considered. These antidepressants include drugs like Prozac and Zoloft. If this treatment proves ineffective, an older type of medication, a tricyclic antidepressant (TCA), is often the next line of defense. Clomipramine is one of these TCAs and the oldest medicine used to treat OCD. It has been proven more effective than SSRI for treating the disorder for many patients, but can have unpleasant side effects. In regards to therapeutic treatment, cognitive behavior therapy (CBT), which aims to teach the patient new ways of reacting to anxiety-causing situations without obsessing or feeling anxious, can be very helpful in treating OCD. Exposure and response prevention (ERP), a type of CBT, exposes the patient repeatedly to factors that trigger obsessive behavior, gradually allowing them to build up a tolerance to the anxiety and resist acting compulsively. This therapy has shown particularly effective in helping patients overcome the disorder. Every patient is different, but according to PubMed Health, a combination of medication and therapy is generally considered the best option for treating OCD. Research being conducted out of Concordia University in Montreal could spark a new way of approaching the treatment of OCD. The research, lead by Adam Radomsky, PhD, is based on the idea that OCD patients who engage in compulsive checking do so because of an enlarged sense of personal responsibility - i.e., "if I don’t check that the door is locked, the house will be robbed and all our belongings lost." Though this thought pattern might stem from a place of logic, the perceived self blame can easily lead to compulsive checking behavior in OCD patients. In order to mollify this sense of responsibility, Dr. Radomsky’s proposed method focuses not on action, but the way patients think, a divergence from traditional ERP treatment. The treatment would lead the patient in exercises aimed to first regulate their sense of responsibility, then increase their confidence in memory and finally to decrease guilt and self doubt. The motivation behind this search for a new treatment is often challenging. Being repeatedly exposed to factors that trigger anxiety can lead to some patients dropping out of treatment. Radomsky hopes that this new treatment would help ease symptoms in a manner less difficult for patients. "Refusal rates for ERP are unacceptably high, which is why we need to develop a new and refined treatment that specifically works for compulsive checking," says Radomsky. Time and application in the field will show if this proposed treatment will be the answer. Perhaps Radomsky's new experimental treatment will prove to be yet another option for those coping with OCD. However, there are a variety of treatment methods currently available to help patients resume a normal life. Though OCD can be a disruptive and emotionally painful disorder, patients are not without options and hope for the future. NIMH, "Obsessive-Compulsive Disorder: When Unwanted Thoughts Take Over" PubMed Health, "Obsessive-compulsive disorder" "Overcoming obsessive-compulsive disorder"